Medellín, Colombia – a bustling city of 2.5 million inhabitants is located in central Colombia at an altitude of just under 5,000 feet, running north to south with mountains abutting it on all sides. Although many westerners may continue to associate Medellín with the country’s history of drug-related violence, residents of the region know the city for its vibrant culture and favorable climate. In fact, Medellín is known colloquially as “la Ciudad de la Eterna Primavera,” or “the City of Eternal Spring.” Most days are sunny and mild, warm enough to enjoy some exercise in the city’s sprawling public sporting facilities, but once the sun sets, it is cool enough for a good night’s rest. 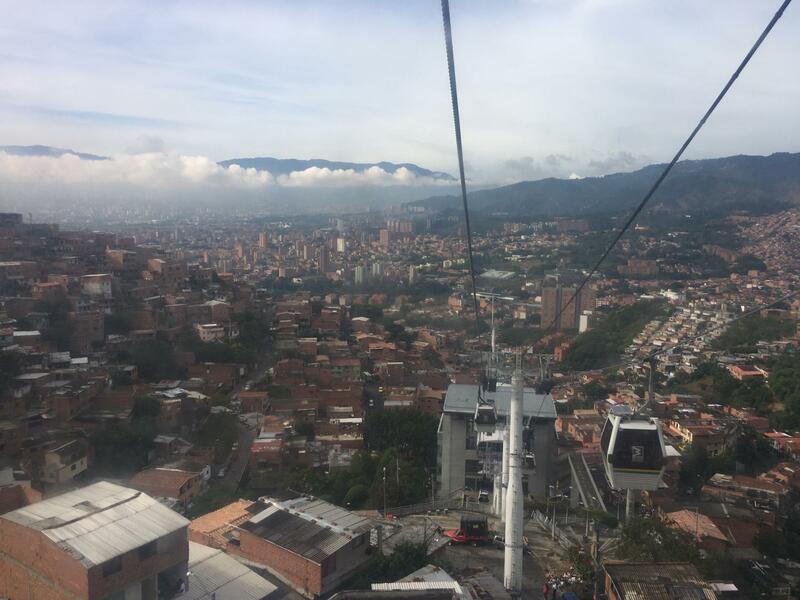 Apart from the mild climate and affable residents, visitors might be surprised to learn upon arrival that they are in a city with an advanced transportation infrastructure, referred to as the Metro de Medellín. This year I spent two months in Medellín as a Kiva fellow, working alongside Kiva's Field Partner, Interactuar. During that time, I relied heavily on the local transit system and came to appreciate the metro as a unique and differentiating characteristic of the developing city. Every day I took the metro to and from Interactuar headquarters, and during that time I came to learn about its history and origins from my colleagues. Medellín’s metro is the only rail-based city transit system in Colombia. Construction on the first rail line began in 1984 and today, Medellín is home to an integrated system including two railways (north-south and east-west), rapid buses, trams and aerial cable-cars that climb the surrounding hillsides. Passengers can link rides together with a reusable card (Cívica), allowing them considerable flexibility when it comes to navigating the city. This not only serves a professional purpose since it helps residents avoid traffic in their daily commutes, but it also connects citizens to key tourist destinations such as Parque Arví, a vast nature park that can be reached by cable-car. The transit authority estimates that more than 2 billion trips have been completed since the first metro line opened in 1995. And the system continues to grow, with new cable cars and bus routes under construction today. While I was in Colombia, I became interested in the culture surrounding Medellín’s metro. There is a culture of care which distinguishes it from other similar transportation networks I’ve encountered in other major cities like New York, Washington D.C., Buenos Aires and Berlin. Medellín, like many large urban areas, has considerable graffiti and street art lining its avenues and boulevards. Yet, the metro is almost entirely free of any vandalism. Citizens abide by the metro's prohibition on food and drink, and generally behave well even when the metro cars are packed to the brim. 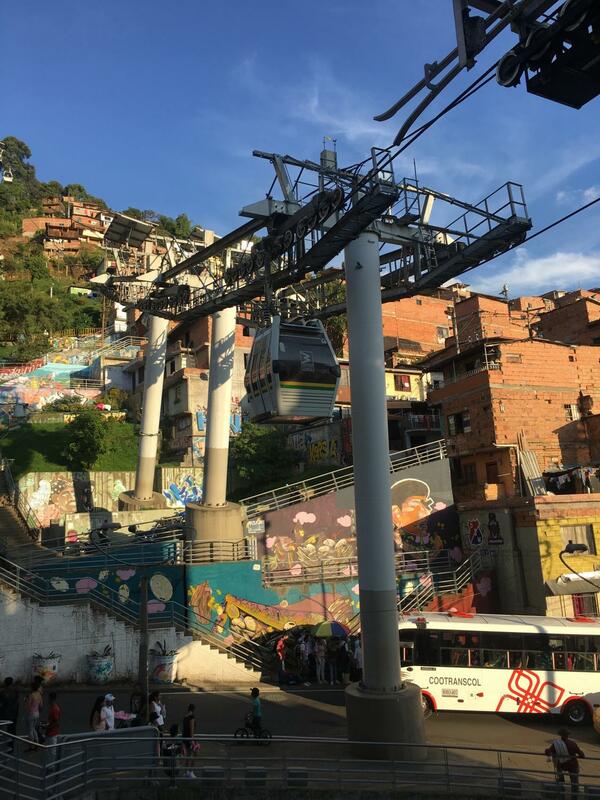 This behavior isn’t merely coincidental, it is due to the considerable effort of the transit authority to ensure Medellín’s citizens value this unique urban amenity. 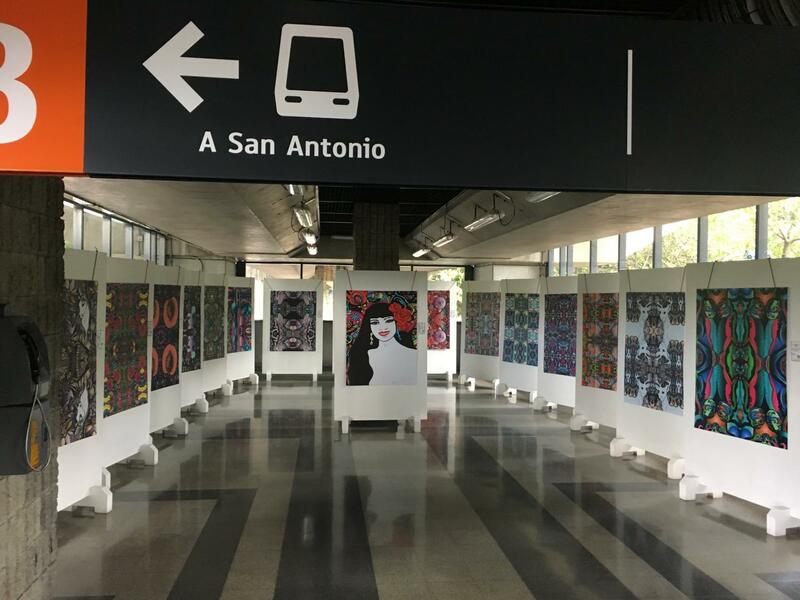 The efforts of the metro authority are intended to foster a city-wide “Cultura Metro” and include educational programs, art projects, community engagements and sustainability initiatives. For example, organization staff train youth leaders in the communities near the metro lines, helping them acquire skills to aid their personal and professional growth. There’s a leadership development program which has educated more than 2,000 individuals, many of whom subsequently coordinated community engagement days featuring art, music and more. Art projects include galleries directly within the stations featuring the works of local artists, and periodic afternoon concerts held outside the metro stops. Finally, residents are given the opportunity to express concerns and provide feedback through community meetings and partnerships with key public and private organizations. 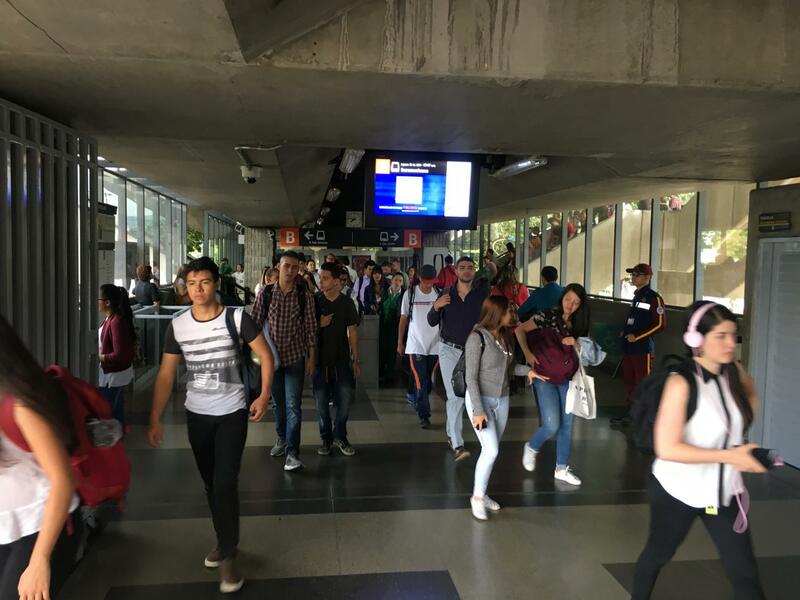 Together, these initiatives have fostered a culture of respect and value—the metro is seen as an important feature that separates Medellín from other locales and makes life better for the majority of its inhabitants. As a visitor passing through, it added considerable value to my experience and allowed me to see much of the city, both for personal and professional purposes. For those of you who have an interest in visiting South America, I recommend Colombia and contend that Medellín should not be missed. I cherished my time in Medellín and was grateful for the availability of such a robust and comprehensive navigation system during my fellowship. I was also fortunate enough to work with Interactuar, a great organization that offers significant value to the entrepreneurs they support through their loan products and on-site training. Click here to learn more about Interactuar and support their Kiva loans by following this link! Elliott grew up in New England and had the good fortune of early exposure to the Spanish language and to the joys of outdoor adventures. Over the years he has visited 18 countries, including Argentina, Denmark, and Nepal. 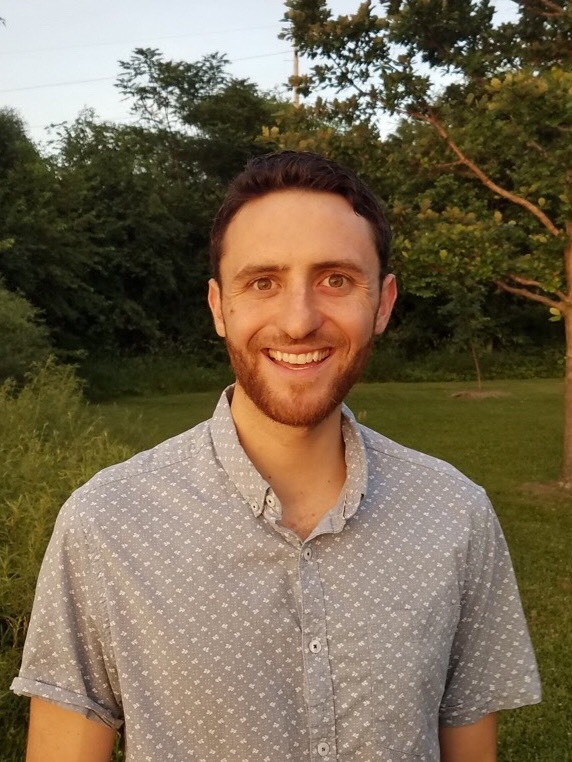 His professional pursuits thus far have included wilderness trip leader, contractor's side kick, and most recently, project manager and strategist at a health tech company in Madison, WI. His interest in micro-finance was sparked by reading Muhammad Yunus' book "Banker to the Poor," and he's excited for the opportunity to return to Latin America and get engaged through Kiva. When not at work he enjoys spending time cycling, running, hiking, and cooking with friends.